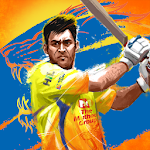 You own CSK, one of the best T20 teams! Your best players includes; Suresh Raina, Ravindra Jadeja, Dwayne Bravo, and other greats, led by none other than the most successful captain India has ever had... the one and only Captain Cool, MS Dhoni! 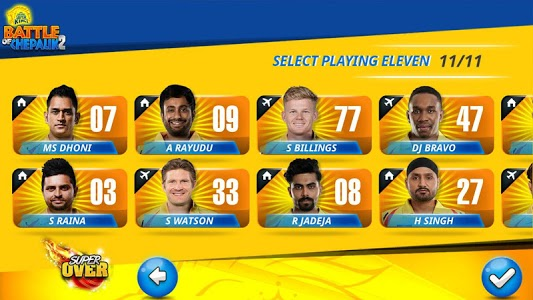 Select your playing 11 (it's not going to be easy to decide who to leave out! ), and get ready to conquer Chepauk, the stadium that has seen too many historic battles and victories on its hallowed grounds. Here's your chance to create history. 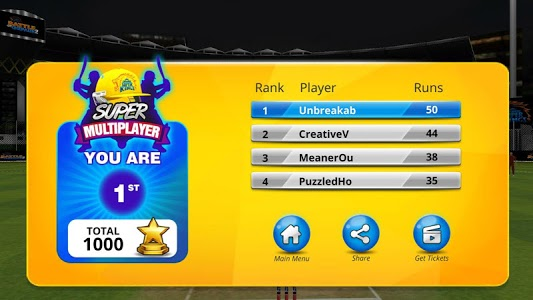 Super Over: You have just one over to complete a nerve wrecking batting challenge! Every win takes you one step closer to final!! Now get sloggers and your power-hitters geared up! 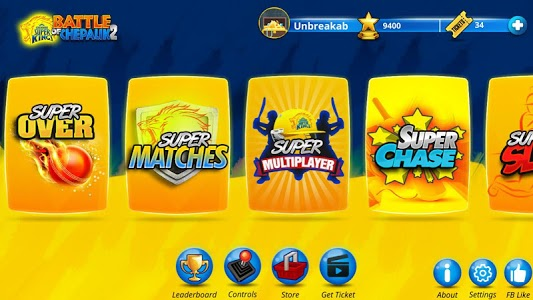 Super Matches: In Super Matches you get to chase a score which is based on the actual score from the real matches played by CSK during IPL. Each match has got 3 objectives and played over for 20 overs length. 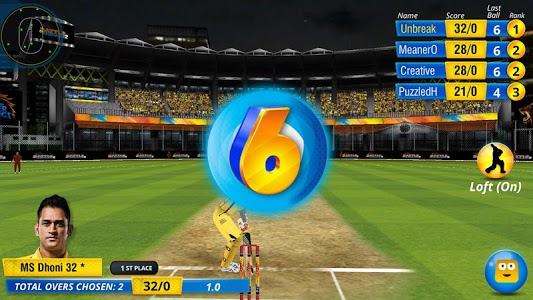 The primary objective is based on the match score set or chased by CSK in the event of IPL, the secondary and the tertiary objectives are loosely based on the match stats. The primary objective must be completed for the gamer to progress further, whereas the secondary and tertiary objectives are not mandatory to be completed in order to progress. Super Multiplayer: Play against 2 to 5 online players at the same time. - Public Mode: Public mode allows you to compete against random players online. 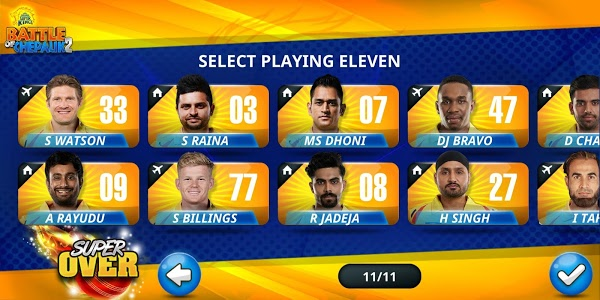 The match starts once the required players are on board. - Private Mode: This mode lets you create a private room with the Room ID. Using the ID you can invite people you know to compete against you. 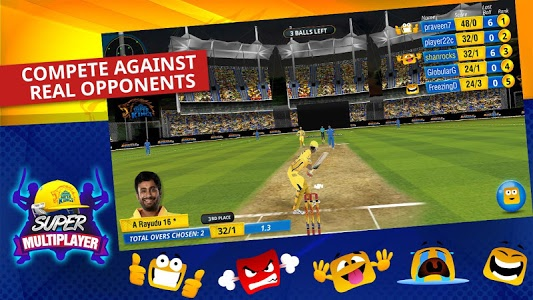 This addictive sports game allows you to choose to play either 2 or 5 overs match with your friends. Super Chase:In this mode you have six levels with 5 challenges per level with increasing targets to chase after. Every successful chase will unlock the next level where you will chase a higher target. So get cracking and get on top of the leaderboard with maximum points! Super Slog: Score as many points as you possibly can in 20 overs!! Fours and Sixes are sure to give you high points while dot balls, 1s and 2s will not be of much help. What are you waiting for? Top the Leaderboard by amassing the maximum number of points!! - Contacts: To manage your account in the game and to access other game modes. - Phone State: To get notifications on various updates and offers. - External Storage: To serve you rewarded video ads to earn tickets within the game. - Coarse Location: To serve you location specific ads & offers. - Record Audio: To analyze media consumption and other device data and utilizing the same to target relevant content and ads to the device. 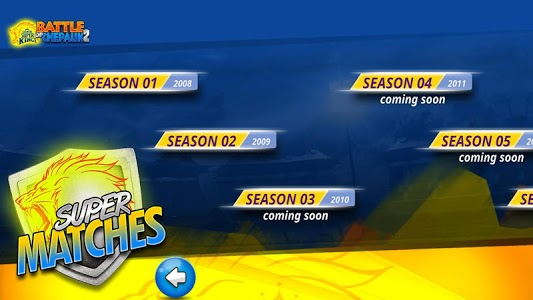 Super Matches: Retake the journey of CSK with the new 2019 squad through the IPL seasons! 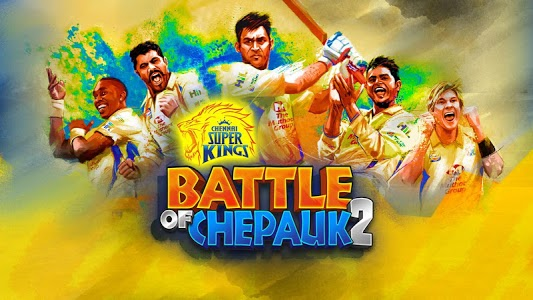 Similar to "Chennai Super Kings Battle Of Chepauk 2"